sǝuoſ ǝuıɥsunS » Handmade stands for modern equipment now available for pre orders! Handmade stands for modern equipment now available for pre orders! Three new items, designed by me, are being produced in the wood shop in San Francisco by Christopher and myself. We have joined forces to craft salvaged oak and locally milled stainless steel into three beautifully unique products for your pleasure and delight. 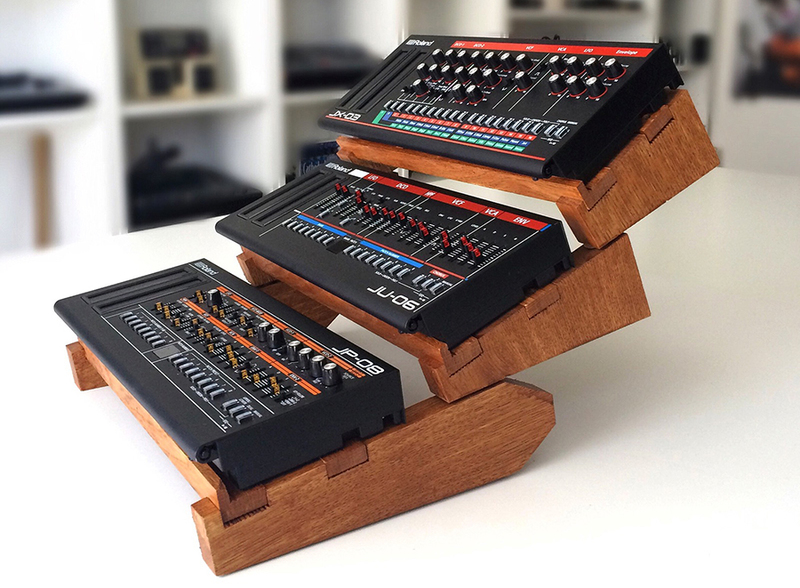 Designed with the Roland boutique JP-08, JU-06 and JX-03 in mind, this three tier modular synth stand breaks apart into three separate angled stands, and stacks 2 and 3 tiers high to present your synthesizers for you while you’re recording, performing, or playing. Collapses into a handful of pieces and fits swiftly into a side pocket of your bag. 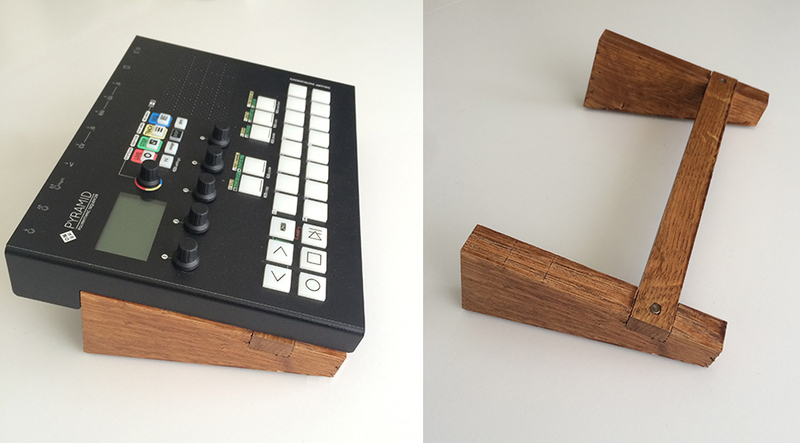 A stand designed for the Squarp Instruments Pyramid sequencer. Raises the entire unit up off the table and delivers an angle which improves line of sight and posture while playing. Beautiful oak construction collapses into a small addition to your bag. 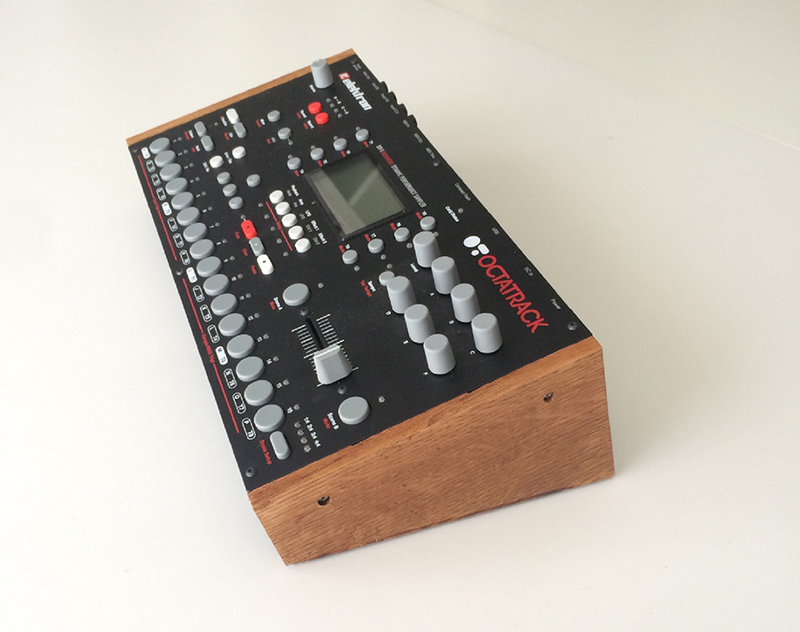 Bring your Electron Octatrack, Analog 4, or Analog Rhythm up to the angle you want it to be at. Beautiful Oak side cheeks raise the instruments up off the table to prevent vibration, and save your neck from craning. Comes with mounting screws and rubber feet for no slip and secure fit action. These utilitarian works of art are signed by the craftspeople who made them (Me and Chris) and numbered from 01 to 25. Once they are sold, they are gone forever. Pre order yours now at Treehouse Muzique for mid January 2016 delivery.